Last week year 6 did their SATs, and hopefully they did very well. They will get their results some time in June. When they finished, on Friday afternoon, they had a SATs party, and they had music, food, drinks and had P.E. equipment out. 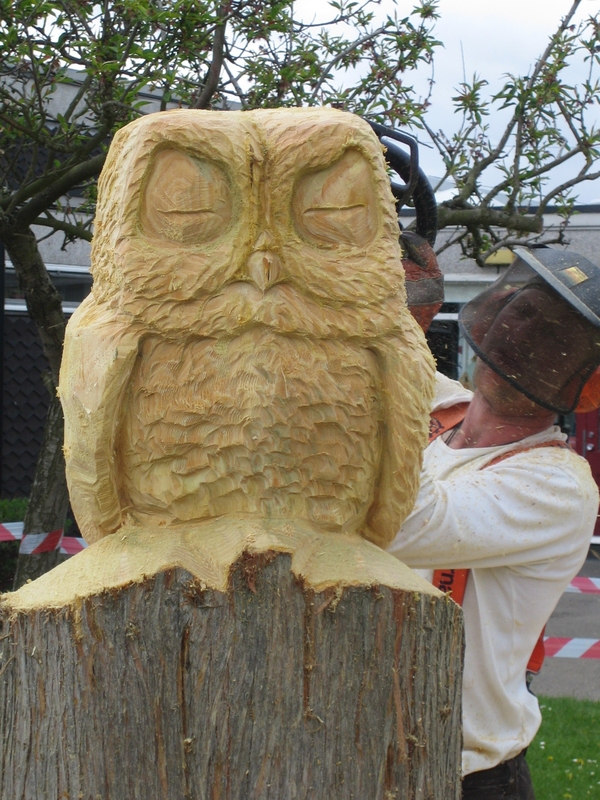 Mr Frost the Wood Sculptor came into school this week to make our old tree into an owl. He told us he started tree sculptures in 1998 after going to university to study for a fine art degree. 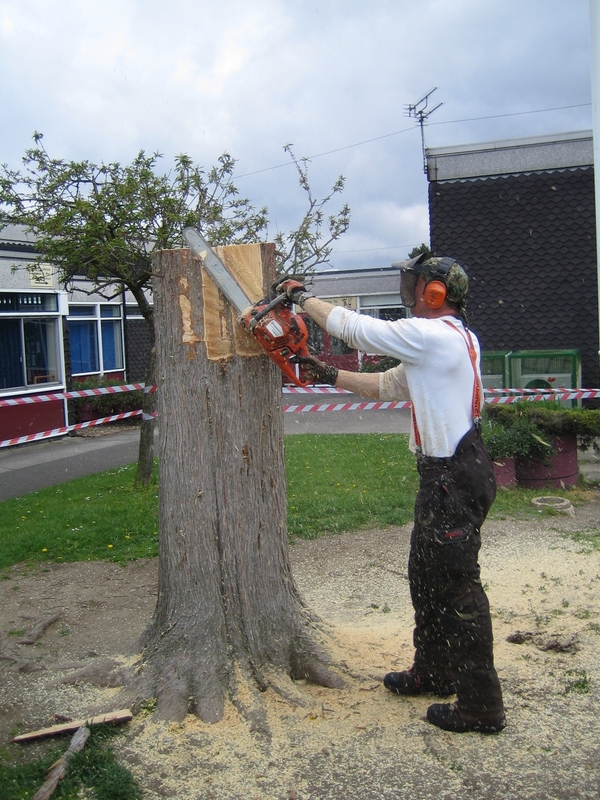 He became interested in working alongside nature and started work as a Countryside Ranger and a Forester and actually practised on the trees that were being chopped down. He now designs and makes wood sculptures throughout the country. It has taken him just over a day to make ours… it looks amazing, the shape of the owl appeared after just a couple of hours! Jacob and Lauren from Year 6 were chosen to represent our school to work with Noel Baker and the other feeder schools, to make the transition from junior to senior school as smooth as possible, one of the things they have been involved in is producing a transition section for Noel Baker’s VLE (Virtual Learning Environment). The first week they went to introduce themselves to the other school representatives and were given a task for the following meeting. They worked all week to produce an outstanding power point presentation to show to the rest of the group at Noel Baker. During the next visit the group will be producing a photographic tour of Noel Baker for year 6’s, which will then be put on the VLE. Year 6’s will be able log into the VLE for help and advice. There is a user name and a password, which Lauren and Jacob have been given, we can either look at it in school or the details can be taken home to look at the VLE with your family. If you have any concerns about transition you can post a question on the forum and some one will answer it from Noel Baker.